If you want to make a video recording without having to lug your camcorder around, you would first think of your digital still camera or your mobile telephone. Digital cameras could record good quality video especially if you want to use the video to be uploaded to the Web, the same goes to mobile telephones with built-in video camera facility. A digital still camera and mobile telephone would be useful in instances where you record normal events and the subjects you’re recording don’t mind being captured on video. Usually, the subjects will be people known to you. What if you want to record video stealthily, without the subject knowing he or she is being recorded? We’re not talking about blatantly recording the actions of other people to invade their privacy. If you’re a private investigator or a law enforcement officer who requires video evidence for court proceedings you have a host of spy digital video camera options available to you. Most of them involve planting the camera in a location where it’s not really visible. These devices may be useful if you’re hiding the camera in your own premises. You would have no problem getting the best positioning for your video camera to go into recording. What if you plan to record video in an `alien’ location where planting a video camera is virtually impossible? In this instance, a spy pen digital video recorder would be useful. Take one look at the spy pen digital video recorder and you’ll say it doesn’t look like anything else than a pen. You’re not wrong. The spy pen video recorder does not only look like a pen, but can also be used as a pen. Since you can write with it like a normal pen, you would not arouse suspicion. It’s not going overboard to say that the spy pen is the smallest digital video recording device ever produced. Still, it does an impressive job in recording video and audio. To operate the spy pen video recorder, you would just have to press the button on top of the pen. When a yellow light comes on, it begins recording. Press the button again and a blue light appears. The pen now reverts to standby mode. A spy pen video recorder operates on a lithium-ion battery which could last up to an hour and a half. To record for that amount of time, you would have to charge the pen for about three hours. The pen comes with a built-in memory of 2 GB and records 1.5 hours of video. Video resolution is at 352 x 288 and your video will be recorded at 15 frames per second. Should you run out of battery power while recording out in the field, you could use a charger powered by 2 AA batteries and you can revive the pen recorder after charging it for three hours. The video recording format is MPEG4 or 3GP and the video files take up about 900kb per minute. Done with your recording, you could plug the recorder into your PC via a USB port and transfer the file to your hard disk for viewing or editing. You can play your recorded video through versatile freeware media players like the versatile freeware VLC or Media Player Classic. While video recording quality is impressive for such a tiny device, the audio quality may leave much to be desired. The audio sounds metallic or robotic especially when it’s recoding a distant sound. But then you can’t expect superb audio like what you’ll get from a dedicated video camera. Still, if you’re recording at close quarters, the audio recording quality is quite acceptable. 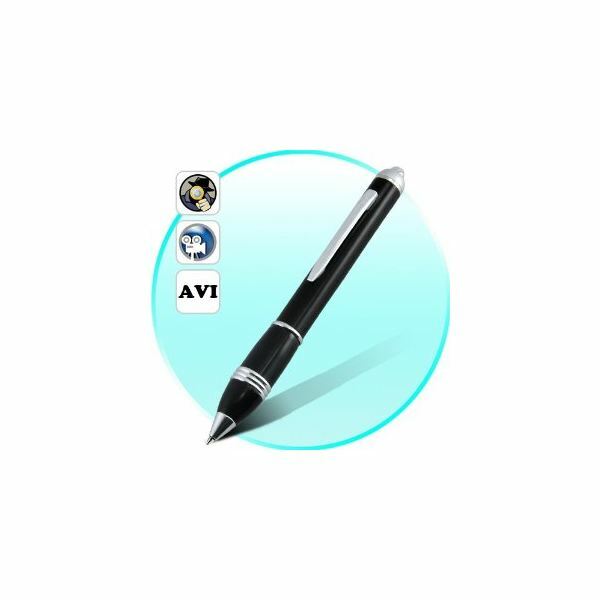 At the moment, the spy pen video camera is compatible with a PC only and works with Windows 2000, XP and Vista. Some spy pens may not work with Windows 7. You would have to check the technical specs of your preferred model for compatibility. If you're interested in one that does, you may want to check out the 4 GB 640 x 480 spy video recording camera cam pen DVR. The spy pen also doubles up as a flash drive in case you need to save data or files in an emergency. The spy pen doesn’t mean that you should use it for spying purposes only. It would come handy in instances where you need to record interesting video clips without having to carry a bulky piece of equipment. Article information based on writer's own experience. Prices of spy pen video cameras will vary. To check out the latest pricing, visit this list of spy pen digital video cameras at Amazon.